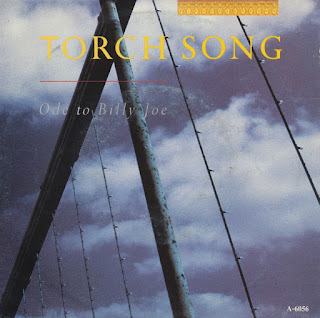 It was becoming a bit weird: on the day I bought Ode to Billy Joe, I was quite shocked that I still didn't have a copy of the 7" of Torch Song's 'Don't look now'. Sure, I have the 12" single, but the single remained elusive. So I did what any sensible collector would do: I ordered a copy online. I immediately noticed that apparently no commercial copies were ever made: all I could find was a promotional version, with a radio edit of the song. Which is fine by me: if there is no commercial single to be had, I'll happily make do with a promotional version. I finally received the single yesterday so here it is, in all its glory. And if you know the full length version of this track you will notice that this edit was cut quite randomly. Which might explain why it didn't become a hit. Back in 1984, I was addicted to music channels like Sky and Music Box. It got kinda bad, because at some point I couldn't get through the day without my daily fix of music videos. There was so much to see, and sometimes I even got to see what I wanted. The great thing about this addiction was that I got to know a lot of videos. Not only the videos belonging to the popular tunes of the day, but also the more obscure ones. Like for instance, this one. It was a striking piece of video and although I hadn't seen it for twenty years until I rediscovered it on YouTube, I still remember most frames. 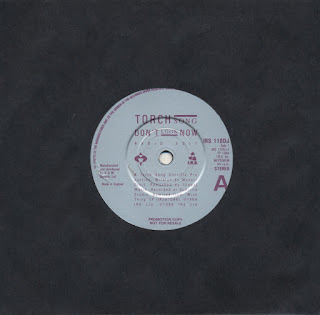 It also presented a problem, because when I went out to buy 'Don't look now' by Torch Song, all I got in the Dutch record shops were blank stares. To this day, I don't know if a 7" single even exists. 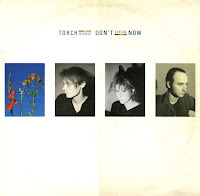 But I did manage to find the 12" single, only a couple of years ago. What a great find. At the time, I didn't even know who William Orbit was. Nowadays, everybody knows. But does everybody know this great track? I bet they don't.